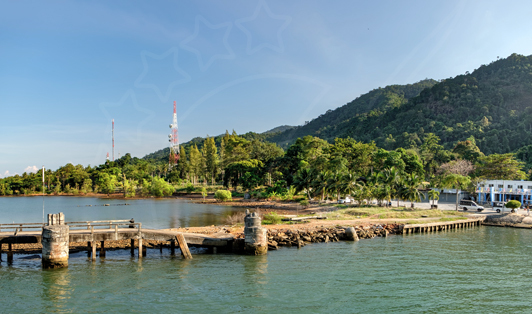 One of the two main gateways to the splendid Koh Chang, the other gateway is Ferry Koh Chang Pier which is only a small distance away. Center Point Pier is basically a great introduction to Koh Chang's unique and special personality. The pier has daily trips coming in from various places around Thailand and once you get there, you will find white pick up truck taxis waiting to take you to the west coast beaches. It's preferred that you don't arrive early in the morning as you will have to wait for the trucks to fill up on passengers unless you are willing to pay way more money for the driver to take you privately to your hotel. It is a unique pier experience for sure.